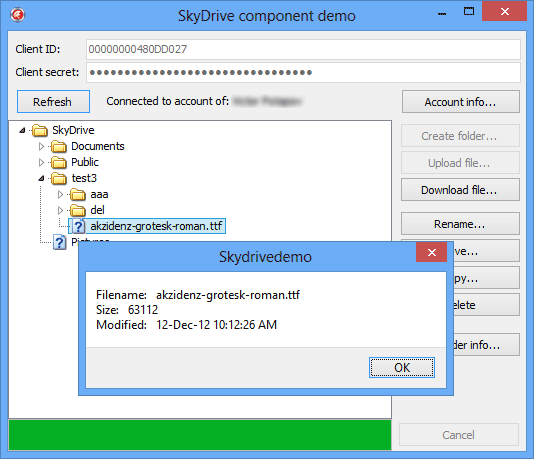 OneDrive Delphi component is a non-visual component that allows you to work with Microsoft OneDrive. 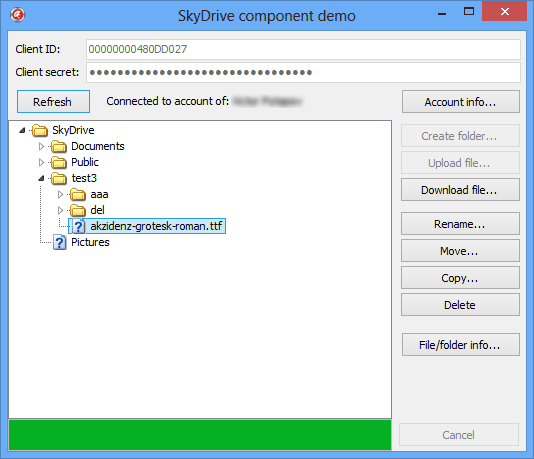 The component supports Delphi XE and newer Delphi versions and works directly with OneDrive using Microsoft Graph. Connecting to OneDrive and showing list of folders and files in TreeView.